03/17/11 – DUKE 14, NORTH CAROLINA 9 – Eight different Blue Devils tallied goals to lead the seventh-ranked Duke men's lacrosse team to a 13-9 victory over No. 8 North Carolina tonight at Fetzer Field. Freshman Jordan Wolf led all Blue Devils with four goals to post his third hat trick in the past four games. 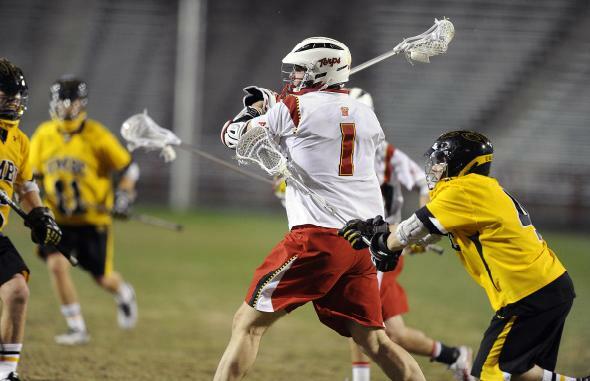 03/18/11 – MARYLAND 15, UMBC (Retrievers, 9,947 students, Catonsville, MD) 6 – Senior Grant Catalino tied career highs with six goals and seven points to lead the No. 7 University of Maryland men's lacrosse team to a decisive 15-6 victory over in-state rival UMBC Friday night in front of 2,836 at Capital One Field at Byrd Stadium. Catalino's big night was punctuated with his third goal of the game, which was his 100th as a Terp. He joins a distinguished group of only 11 other Terps that have reached the 100-goal milestone in the 86-year history of Maryland men's lacrosse. 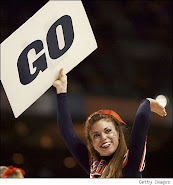 Virginia Cavaliers (7-1) to a 14-11 triumph over the No. 20 Ohio State Buckeyes (5-3), Saturday afternoon, inside Klöckner Stadium. The victory is the 100th all-time in UVa's home venue, which opened in 1993. The Cavaliers are now 100-16 (.862) all-time inside the confines of Klöckner Stadium.